From elementary trips to university outings, Chicago Charter Bus Company is your top choice for bus rentals to all school events in the Chicago area. Whether you’re touring colleges with your classmates or booking a field trip for your students, we’ll make sure we find you the perfect bus for your trip. Call our representatives today at 312-667-0906 to book your bus today! Traditional school buses can be old and unreliable. Book a modern charter bus and enjoy air conditioning, plush seats, and even on-board restrooms to make your trip comfortable and to help eliminate unnecessary stops. We can also outfit your bus with power outlets and WiFi so you can easily keep your students entertained during the trip. Away games are easy with a private bus. Tell us where you need to go and when you need to be there, and we’ll handle all of the logistics. Load your team onto a comfortable bus where they will have plenty of room to stretch out and relax before the big game. You’ll be able to easily store all of your team’s equipment with oversized luggage bays available on large models. Visit Chicago’s top colleges with a private minibus as your personal transportation. With a compact bus and a personal driver, you’ll be able to cruise past each campus’s top destinations and get to know the city before choosing where you’ll go to college. 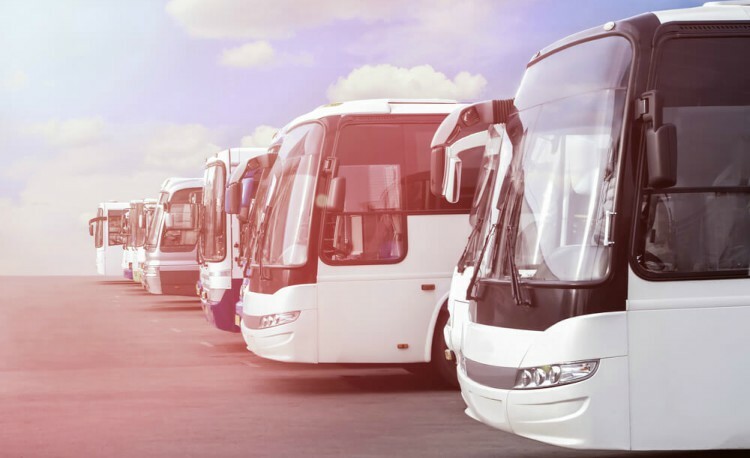 Count on us to find the perfect bus for every group, no matter your needs. Whether it’s in a minibus or a charter bus, you’ll enjoy a comfortable ride from beginning to end. Call us any time at 312-667-0906​ to reserve your bus today!